Up to now we have had three meetings. 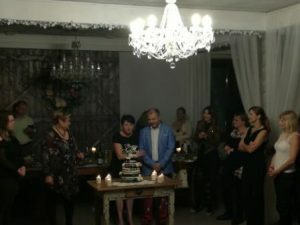 One transnational meeting in Bialystok (Poland) in October 2017, the Staff Training in Setubal (Portugal) in November 2017 and the meeting in Jaen (Spain) in April 2018. From 10 October 2017 to 14 October 2017 we were pleased to host eight teachers from the European partner schools – Portugal, Spain and Slovenia that cooperate with our school in the Erasmus+ Programme. There were two people from every country: the national coordinator of the Atelier for STE(A)M project (science, technology, engineering, art, mathematics) and the headteacher. 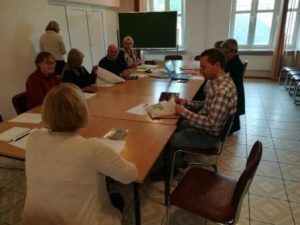 The participants were the representatives of all levels of education: Primary Education, Middle School Education, High School Education and University Education. The main purpose of the international meeting was to establish the details of the cooperation, discuss the programme of educational activities. We also set our expectations for the results of the project as well as dissemination of the project results. On the first day of the meeting with the main coordinator of the project – Daniel Aguirre, in a conference hall in Centrum Kultury Prawosławnej in Bialystok, all the participants decided on the theme of the programme of activities – water – as a basic, indispensable element and a source of life on Earth. The workshops of the Atelier for STE(A)M, educational experiments, pedagogical innovations would all be related to water. We also discussed the ways of evaluation and dissemination of our project activities. What is more, during the workshop we designed a web address, Facebook and Twitter account. According to the assumptions of Erasmus+, the projects strengthen the potential of every school due to the international cooperation. We face new challenges, work out the fruitful results for the participants who take direct part in the Atelier for STE(A)M project as well as for the local institutions connected with education. That is why, during the visit of the coordinators, a Jubilee meeting with the leaders of the European education was held in our school. The International Scientix Ambassadors – Malgorzata Zajączkowska, Elzbieta Kawecka, Daniel Aguirre, Carlos Cunha and Miguel Angel Queiruga shared reflections on long-term cooperation with European Schoolnet, celebrating 20th anniversary of this organisation. Carlos Cunha, the Portuguese coordinator presented the idea of Future Classroom Lab which is an innovative place for learning, equipped with numerous technological devices. In the Atelier for STE(A)M project science is strictly connected with art. 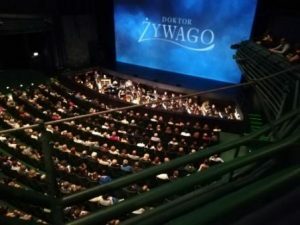 For this reason we visited Artur Grottger High School of Arts and Crafts in Supraśl and we also saw a musical – Doctor Zhivago in Podlasie Opera and Philharmonic in Bialystok. The next workshop was related to the higher education so we visited the Technical University of Bialystok. At the Faculty of Civil and Environmental Engineering Dr Joanna Szczykowska presented the lesson about drinking water treatment based on innovative and specialised technologies. 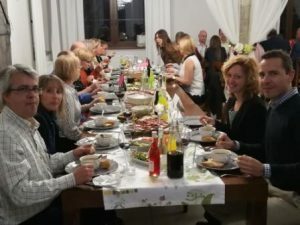 The farewell party took place in Sowlany where the foreign guests were able to become familiar with the Polish culture, customs as well as Polish cuisine. ATELIER for STE(A)M Erasmus+ short-term joint staff training event took place from 19 November 2017 to 25 November 2017 in Setubal, Portugal. The purpose of the meeting was to increase our knowledge of modern technologies which enhance learning through innovation, enjoyment and research. During our stay the teachers from Poland, Spain, Slovenia and Portugal took part in numerous workshops and trainings organised by a Portuguese coordinator – Carlos Cunha. The workshops were mainly held at the high school – Escola Secundaria Dom Manuel Martins and University of Lisbon. The trainings were professionally prepared and they enabled the participants to become familiar with the following innovative technologies: 3D printing, programming in Scratch, using interactive whiteboards Promethean or Microsoft Office 365 product. What is more, the teachers were working based on the applications such as: Quiver, Kahoot, Mentimeter or Plickers which are excellent tools for assessing students’ knowledge and indispensable complement to textbooks. Furthermore, the Future Classroom Labs (both at school in Setubal and University of Lisbon) made a great impression on the participants. The Future Classroom Labs are divided into six learning zones and they are equipped with technological devices which facilitate students’ process of discovering the world in an interesting and a natural way. Thanks to the workshops and the opportunity of meeting teachers from different countries we were able to exchange experiences and ideas. The participants of the project concluded unanimously that modern technologies plays a vital role in didactics of the 21st century and allows a growing cooperation between teachers of various subjects (interdisciplinary teaching activities) for the sake of students. the methodology of Future Classroom Lab working not only with our partner schools. We also intend to keep participating in trainings in Brussels to set up Future Classroom Lab in our schools in the future.